As a marketer, creating content that converts readers into customers is key to a successful content strategy. However, if your team has multiple writers, it can be tough to enforce content consistency and brand standards. This is especially true for team members who have to write content, but aren’t writers by trade. So, how do you maintain a consistent voice across all the content your company creates? The answer starts with a strong editorial style guide. They’re the holy grail of writer’s guidelines, making it easy for everyone to understand your organization’s voice, style, and tone. They also answer questions around formatting, appropriate usage of branded terms, and more. When every writer on your team is equipped with one, they’ll be prepared to execute content that better reinforces your brand. 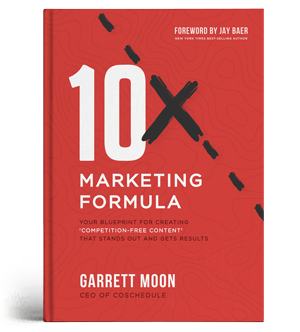 In this post, you’ll learn everything you need to know about creating one that work. Why Should Marketers Use Style Guides? What Is CoSchedule? : CoSchedule is the best editorial calendar platform to keep content marketing teams organized. Curious how we can help your team plan, publish, and measure content more effectively? Start here. One reason companies don’t bother creating style guides is because they take time. Eliminate that excuse with this free template. Download it now, then use this post to learn how to complete each section. 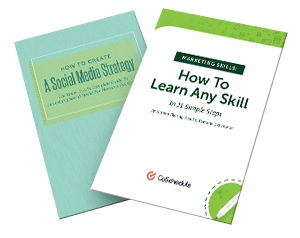 By the time you’re done, you’ll have a complete copy you can share with your organization. What is a Content Style Guide, Anyway? A content style guide is a document that outlines the expectations and brand standards that every piece of content needs to meet. This should describe everything from grammar and spelling to design elements, like proper header use and logo placement. What Does a Style Guide Look Like? If you’re looking for even more information on how to build your style guide, check out the following 15 examples. Why Are Style Guides Important For Marketers? Understanding your standards of performance. What should every piece you publish include? Keep content consistent. This includes proper usage of branded terms, text formatting, and more. Learn how to write with your brand's voice. Your company should sound like your company, no matter who is writing the content. Above all, they help editors and managers save time reworking writer's content by setting clear expectations up front. If you ever took a journalism class, you're probably familiar with AP style. But, did you know there are other style books you can follow, too? Brands, like publishers, often base portions of their style guides on AP style. Consider ordering a copy for your office. If you choose to use AP Style, drop links to external resources on AP style. Here's one from Purdue OWL, and another from Lake Sumter State College. Even the best writers can use reminders on basic aspects of writing well. For team members who aren't writers by trade, including some general tips can help them avoid mistakes, too. Tense: Should content be written in past, present, or future tense? Voice: While most writing should be in active voice, is passive voice acceptable for your brand in certain circumstances? Point of View: Should writers use first, second, or third-person perspective when writing as your company? Most content should be written in active voice. However, there are times when passive voice may be preferable. In order to use the correct voice, though, it's important to understand the difference between active and passive voice. Active Voice: When using active voice, the sentence's subject performs an action. Ex: CoSchedule makes great software. Passive Voice: When using passive voice, an action is applied retroactively to the subject. Ex: The great software is made by CoSchedule. In the active voice example, the subject comes first, followed by a verb. This differs from the passive voice example, where the action comes first, followed by the subject. Hear the difference? Active voices sounds much more fluid, while passive voice sounds formal. Tenses tell readers when something will occur, or when it happened in the past. There are three tenses, each with four tense subcategories. Present tense is an unchanging, repeated, or reoccurring action that exists right now. Simple Present: The preferred use of present tense. It uses the least amount of words of all of the other forms, and is best for crafting clear and concise messaging. Present Progressive: Indicates an action is ongoing that happens at the same time someone writes the statement. Present Perfect: An action that happens at an indefinite time in the past or begins in the past and continues to the present. Present Perfect Progressive: An action that begins in the past, continues to the present and may continue into the future. Past tense expresses an action that starts and ends at a previous point in time. Simple Past: This is the preferred use of past tense. Like simple present tense, it is the least wordy of all the past tense sub-categories and is preferred because of its ability to be clear and concise. Past Progressive: An ongoing action that happens in the past at the same time as another action. Past Perfect: An action that happens in the past before another past action. Past Perfect Progressive: An action that begins in the past and ends before another action occurs. Future tense expresses an action that occurs in the future. It is recommended that writers avoid writing in this style when they create content for potential customers. Simple Future: As with the other two tenses, simple future is the preferred use of the tense as it is the least wordy and can be the most concise. Future Progressive: Indicates an ongoing action that happens in the future. Future Perfect: An action that happens in the future before another future action. Future Perfect Progressive: A future ongoing action that begins in the future before another future action. Point of view refers to the perspective the author assumes when writing. First Person: The speaker refers to themselves/itself. Ex: I get organized with CoSchedule. Second Person: The speaker addresses the reader directly. Ex: You can get organized with CoSchedule. Third Person</em: The speaker refers to a person, place, thing, or idea. Ex: CoSchedule helps marketers get organized. Decide whether you will write in active or passive voice. Explain when (or if) using active or passive voice is acceptable in your content. Teach writers how to choose between tenses. Show examples of different tenses and when to use each one. Choose a POV. Choose your POV and explain why content should be written in that POV. Include example text. Next, your style guide should explain how to translate jargon into conversational language customers will understand. Every company and industry uses some type of jargon. This could include acronyms, shorthand that refers to products, or terms you use internally (that most people wouldn't understand out of context). List common pieces of jargon and internal language, and offer better alternatives to use in content and copy instead. For example, a hybrid car manufacturer might use the term, "advanced technology-partial zero emission vehicle". What a mouthful, right? A car shopper might better understand "hybrid car" or "natural gas engine." Record each piece of jargon that comes up in your customer-facing content on the left-hand side of the chart. Record the customer friendly translation of said jargon on the right-hand side of the chart. Add rows based on the number of terms that your writers will frequently come across. The next piece of your style guide revolves around choosing and outlining expectations for the types of content your marketing team will create. There are many different types of content that you can choose to create. Now, you may have different style standards for different types of content. For example, social media posts would likely follow different best practices than video scripts. Follow their lead with your own style guide. Include each type of content your team creates. Another section of your style guide should identify brand names, trademarks, and so forth that must be spelled a specific way every single time it is mentioned. Sometimes, this may have legal ramifications, like when you're using trademarked terms. Note that both Intel and Core feature different legal trademark symbols. Failure to get these right could result in a letter from Intel's lawyers. Note that PixelSense is written not only with a trademark symbol, but with a capital S. This is likely a branding consideration the company wants to keep consistent. If you have any branded terms that need to be spelled or formatted a certain way, whether for legal or stylistic reasons, document them in your style guide. Under the Brand Terminology header, record each branded term your content uses in the chart in your template. If your company has a large number of products, consider including only those that writers will need to reference most often. The next part of your style guide should explain the voice, tone, and style that your branded content should take. Brand voice is the purposeful and consistent personification, or characterization of a brand often expressed through words, tone, and culture. As a marketer, it’s important to bring across this voice at all times, whether that be through content or any other media form. We are [insert desired perception], but we are not [insert antonym of desired perception]. We are smart but not arrogant. We are technology savvy but not inaccessible. Repeat this process 15 to 20 times. Then, choose four or five pairings that best fit your brand voice, and record them in your template. Struggling to define your brand voice? Start with a "We Are _____, But Not _____" writing exercise. Tone is the inflection of your brand voice. Depending on the situation, your tone may change. For example, if you’re giving something away you might have a fun, light-hearted tone. However, if you’re addressing the fact that your system is down, you would take a more serious tone. If [Situation One] occurs, use a [adjective] tone. If [Situation Two] occurs, use [adjective] tone. If [Situation Three] occurs, use [adjective] tone. Add in situations your writers are likely to encounter. Under the Voice and Tone section, describe how your content should sound, and reflect your brand's personality. Once you have identified what content types you’ll create, you need to define your standards of performance for each one. Standards of performance are guidelines that each piece of content must meet for it to be published. Every blog post we write must meet these standards or it won’t be published. Set similar standards for your own content. List each type of content you’ll create. Outline your standards of performance for each content type. The next part of your style guide is focused on the formatting of your content. This section of your style guide should explain to readers when to use things like H2 and H3 headers, when to use bold or italicized text and hyperlink text guidelines. Headers and subheaders help break up your content, so it’s easy to read (or for some, skim). Identify for your writers what types of headers they should be using and when. For example, H2 headers would be used whenever a new section of content is introduced. If you have sub-points that you need to break down for your reader that fall underneath that same section, you will use an H3 header. According to Practical Typography, there are two rules to keep in mind when using bold or italicized text. They are mutually exclusive. Bold and italicized text are not one and the same. Don’t use them often. Bold and italicized text are meant to emphasize a point you want to make. How you hyperlink text can affect what your reader clicks on and in some cases how your page ranks for SEO factors. Any text you choose to highlight should tell the reader (and search engines) what the destination page is about. Don’t hyperlink full sentences (unless they're extremely short). It looks excessive. Strive to use conversational anchor text (meaning, snippets of text that would make sense on their own). Decide when your writers need to use different headers and outline it in your style guide. Include examples if you can. Add recommendations for when to use bold or italicized text in your content. Add best practices for hyperlinking text in your content. The last part of your style guide should outline how, where, and what type of images should be used when you’re creating your content. First, decide what type of images are going to be part of your content. There are options like stock photography which you can purchase from sites like iStock. You could also lay out guidelines for using your own photography (although photography specifics would probably be in your brand guidelines), or have your designers create your own images. Or, you may have a mix of both. Whatever you decide to do, make sure image expectations are clear to your team. The second thing you need to decide is whether or not you’re going to include captions on your photos. If you decide to include them, how long should they be, and where are you going to place them? Captions can also allow you to give credit to third-party photos you use in your content. This should be done anytime you use an image from an external source. The last thing that should be defined here are appropriate photo and image dimensions for different types of content. Consistent sizing creates a more uniform piece of content, so depending on the content types you create, your standard size may vary. For example, on the CoSchedule blog, every graphic that is inserted into our posts is set at 770px wide (the exact column width of our blog). Identify what types of images you’ll use in your content. Provide at least two examples. In one of your sample images indicated where image credit should go (if applicable). In another sample image, identify where captions should go. For each content type, list the preferred images sizes for each one. The last part of your style guide should include some of the basic design elements that every marketer or writer on your marketing team should know. You don’t have to go as in-depth into these sections. Just include any information that your marketers need to know. The colors you use in your content can affect your reader. It’s called color psychology, and as a writer, it’s essential to match the message you want to send with a color scheme that invokes the right emotions. In your style guide include directions on how your writers can work with designers together to match messaging they’ve created to designed images the designer has built. The next design element that should be included in your style guide is typography. You should lay out for your writers the different fonts that are acceptable. Because it helps establish consistency and eliminates the temptation to use fancy (yet difficult-to-read) fonts. It'll also help designers understand how to create consistent text for designed images. The last design element that should be in your style guide is where to place your logos in content and what logo is in current use. This should be a relatively simple section and outline what logo is in use and where it should be placed on your content (if at all). List your color palette. What are the standard colors that are used for your brand? List out their HEX codes and the emotions each one causes for your audience. List acceptable fonts. What fonts are you using as a brand? List out the full font for headers, subheaders and standard text. Attach your current logo. Include diagrams of where your logo should be placed, in context, on different content types your team creates. Now that you have read this entire post you should be able to build an entire style guide for your team. Double check it for spelling, grammar and accuracy and ship it out to your team. Let the style guide take care of the rest. Think we missed something? Let us know in the comments below. This post was originally published on March 5, 2018. It was updated and republished on July 5, 2018.